Welcome to the Dane Love website where you can browse the books written by him so far, find out a little more about him and what he is planning next. 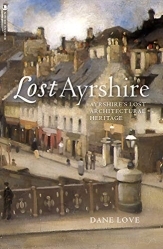 He is the author of over thirty books on Scottish subjects, with a particularly strong focus on Ayrshire. Dane Love lives in the Ayrshire countryside, Scotland, writing his books in his turret study. 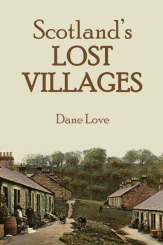 Dane’s books are of two types—general Scottish subjects and local history. His first book was published in 1989 (Scottish Kirkyards), since when he has written many more. 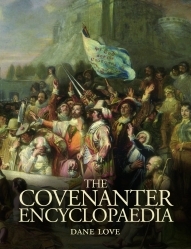 Although he has contributed articles to a few magazines, such as the Scots’ Magazine, Scottish Life and The Countryman, he prefers to write books! The full list of books written so far can be accessed here. If you wish to order any title still in print directly from the author, then why not visit the author's own Bookshop? The cover-shots shown above are the latest titles by Dane Love. Click on them to find out more. All previous titles can be found here.